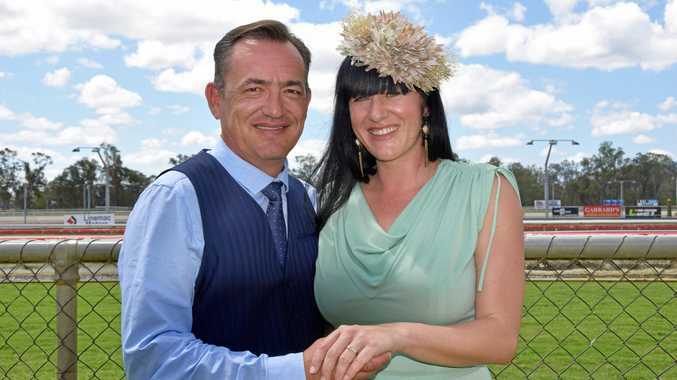 MANY punters came home from the Rockhampton races with a big win yesterday, but none more so than Tamara Boyle and her partner Werner Breytenbach. 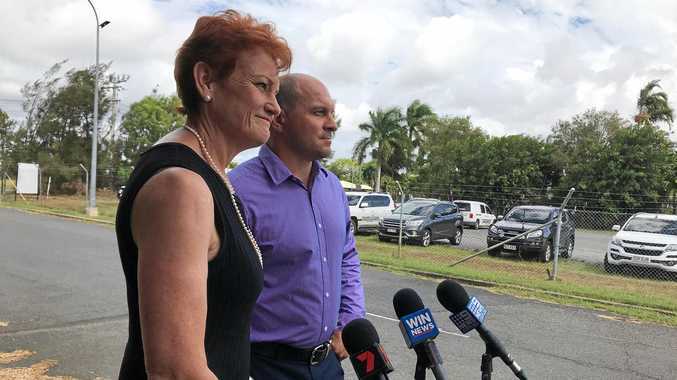 Werner, 46, had landed in Rockhampton Saturday morning after a 36-hour trip from South Africa with only one thing on his mind; Tamara. Following a sleepless night in Brisbane on Friday, he was anxious but excited to get to the St Peter's Caulfield Cup Race Day on a mission to ask his girlfriend to be his wife. He had been planning the trip for weeks and had done so without Tamara, 36, knowing a thing. "It was a whole three-week undercover thing with her parents and her friends," he said on Saturday. "I was confident she would say yes, but when I got down on one knee the nerves really kicked in. 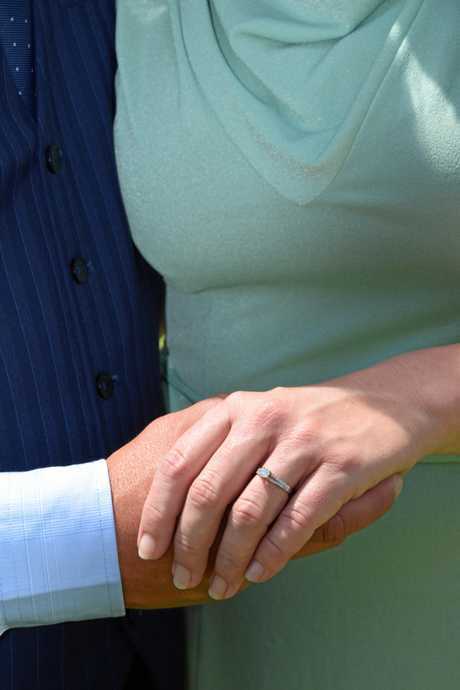 "I was really shaky and nervous and I could hardly hold the ring but it was amazing. "I went down and one knee, I said 'I love you' a lot and I can't really remember what I said afterwards, but it was along the lines of 'Will you do me the honour of being my wife', and she said yes." The couple first met on Heron Island five years ago where they were both holidaying with friends. Since then, their relationship has been mostly long distance with visits to each other as much as possible. It was a complete surprise for Tamara to see Werner at the Callaghan Park races on Saturday, and even more so when he got down on one knee. "I was very shocked to see him this morning," Tamara said after the big moment. "My first thought was 'this isn't real'. I think I was still in shock that he was actually standing in the same room." When Werner proposed, there wasn't a doubt in Tamara's mind what her answer would be. "Of course, I was thinking YES," she said. "Then, whoops I didn't shave my legs." Leading up to Werner's arrival, Tamara said there were a few signs that looking back on should have clued her in to what was going on. "It was actually really funny because I was reading the guide and it was before I knew all this was happening," she said. "I said to my friend 'Oh there is a horse called Sneaky Lover', and she said to me 'we should place a bet'. Werner, who will be relocating to Australia permanently in March, said the day will be one they will never forget. "I am so in love with her I can't even put it into words."